FairAfric aim to produce world class chocolate while widely increasing Africa’s share of the value chain in the chocolate industry. 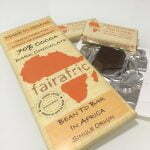 By not only sourcing the cocoa in Africa but by producing the chocolate from bean to wrapped bar in Ghana, Fairafric has a tremendous social impact with every bar. Hendrik Reimers is a social entrepreneur, and had the idea to produce chocolate in Africa while talking to a roadside coffee maker in Uganda in 2013. 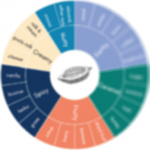 After many meetings and a lot of learning, a KickStarter campaign in 2016 saw them make their first batch of chocolates. We are really excited to be one of the first retailers of this chocolate.